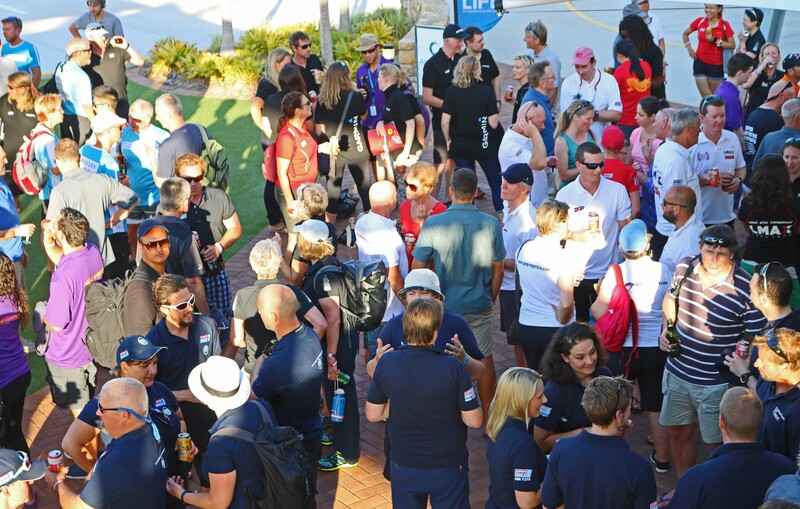 There are six new crew members from different ends of the earth boarding five Clipper Race boats to represent their individual Team Sponsor for the Asian Pacific Challenge, and there is one trait they share: they are all out to win! Just like all of our crew, these six ambassadors come from all walks of life and have faced a variety of very different challenges along the path that has led them to the Clipper Race. 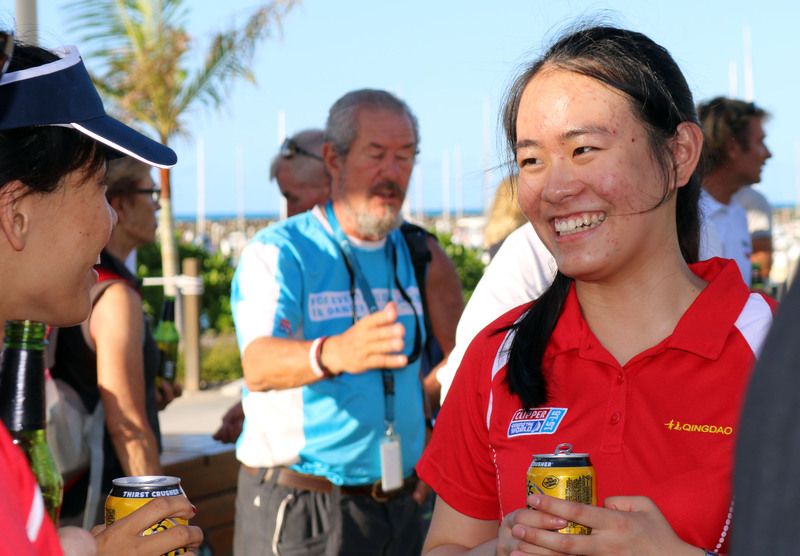 So we caught up with them in Airlie Beach before Race 7 The Da Nang New Discovery of Asia Race to see how they are feeling ahead of their first adventure of 2016. Sailing home on board Da Nang – Viet Nam is 27-year-old tug boat driver Nguyen Tran Minh An, who had never sailed before starting his Clipper Race training. Minh An was selected by the first time Team Sponsor and Host Port to represent them on the race, and he cannot wait to show off his home city to the rest of the crew. Minh An says: “I can’t really imagine what it is going to be like sailing into my home city. 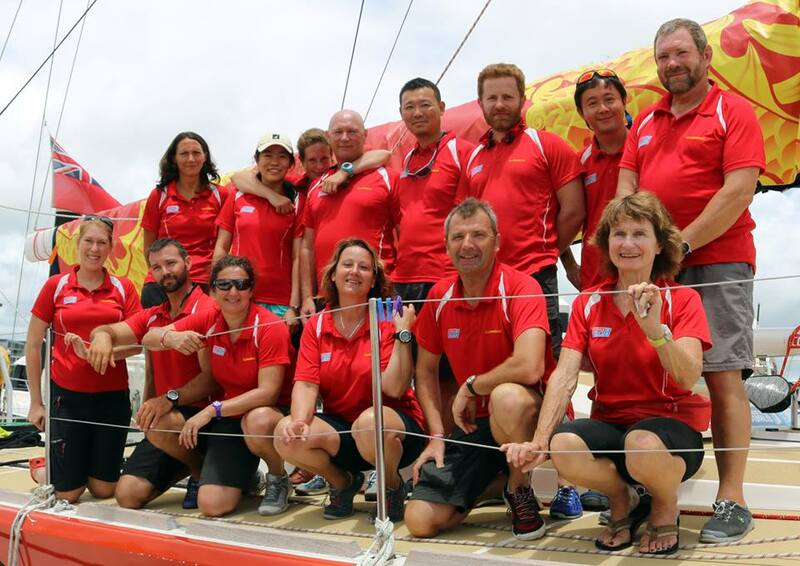 I am so proud to be representing it on the Da Nang – Viet Nam team and I hope I can teach all the crew and my Skipper Wendy many good things about my home and my country. 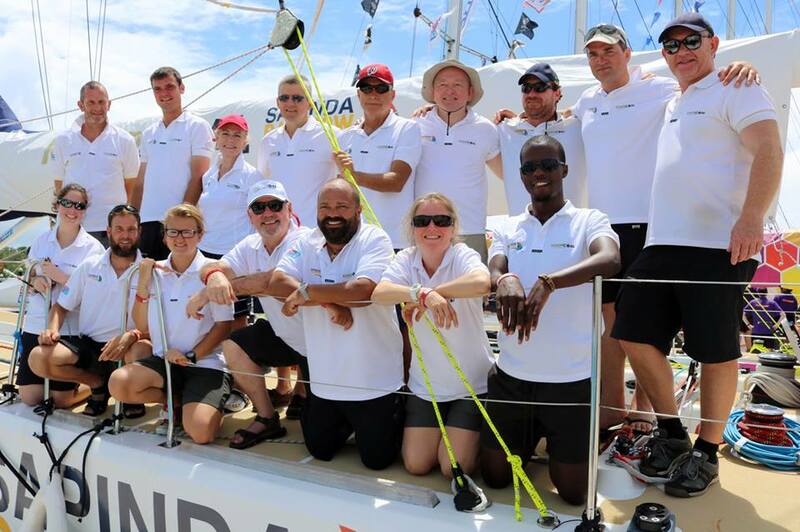 On board IchorCoal is Sapinda Rainbow Foundation Ambassador Khulekani ‘Ben’ Mahanya (front row, right). In 2013, the twenty-three year old from Mtubatuba, South Africa, completed his matric school exams and has aspirations to be a social worker. However, being one of four children raised by a single mother who works part time, he had to put his ambitions on hold to help support his family. Arriving in Airlie Beach to join IchorCoal, Ben says: “ I have had a long flight here from South Africa, only my second ever plane journey after my trip to the UK for the training, so I am tired but very happy and pleased to finally be here and start my race and experience something remarkable. Qingdao has two ambassadors on board for this leg, who, in Race 8 will have the privilege of also sailing into their home country when the fleet arrives in the Chinese sailing capital of Qingdao. For Melody Mingyue Liu, 20, the race is family affair, as she explains: “I am studying for an Applied Sciences Degree in Engineering in Australia so this leg is kind of like my home to home. I feel it is going to pretty tough as the first half will be so hot and the second will be much colder with strong winds. My dad is very supportive, and he will actually join the boat as the Qingdao ambassador for the leg from Seattle to New York so it will be special to be able to share our experiences once he has completed his race too. On Derry-Londonderry-Doire the baton has been passed from Your Next Chapter bursary candidate David Pollock to Conor Shortland. 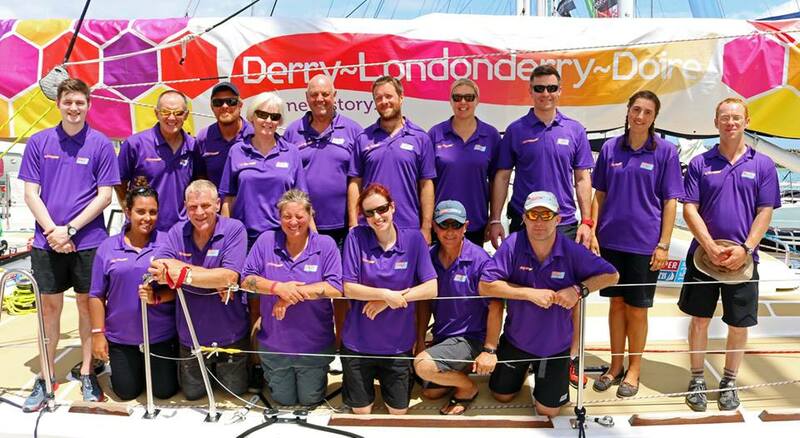 The pair have both struggled to find work in recent times and the hope of Team Sponsor and Host Port Derry City and Strabane District Council is that the Clipper Race experience will arm them with the skills and confidence to gain employment in the future. Conor (pictured below, back row, left) had no sailing experience before his training but says he took to it quickly: “I loved doing the training exercises and felt very comfortable with it all, especially the technical side of things. I could understand it all and found it really interesting. 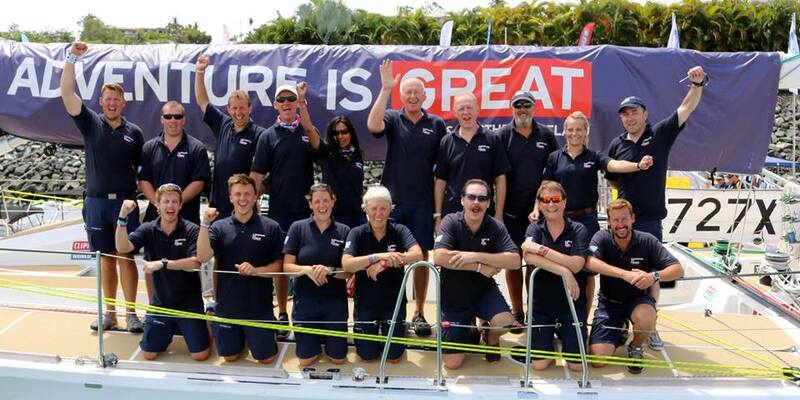 Throughout the Clipper 2015-16 Race, the GREAT campaign has set some of Britain’s top athletes the challenge of taking up sailing and it has been a battle for all of them to go from being at the top of their own sport to being complete novices. Having already welcomed UFC fighter Dan Hardy, Olympic rower Bill Lucas and Commonwealth gold medal winning sprinter Abi Oyepitan, GREAT Britain’s latest ambassador is Paralympic Champion Ski Guide Charlotte Evans. Charlotte’s excellent communication and team skills helped her guide downhill skier Kelly Gallagher to Britain’s first ever winter Paralympics gold medal in Sochi 2014, and now she’s hoping to help GREAT Britain win the next two races into Da Nang and Qingdao. Charlotte (pictured, back row, second from right) says: “I’m excited now. Before today I was a little apprehensive and didn’t know what to expect but now I’ve sat down and had lunch with the team I feel much better. One of my biggest fears was if I would get on with everybody but dinner was really nice so I’m looking forward to getting to know them all better. The Asian Pacific Leg is made up of two races. 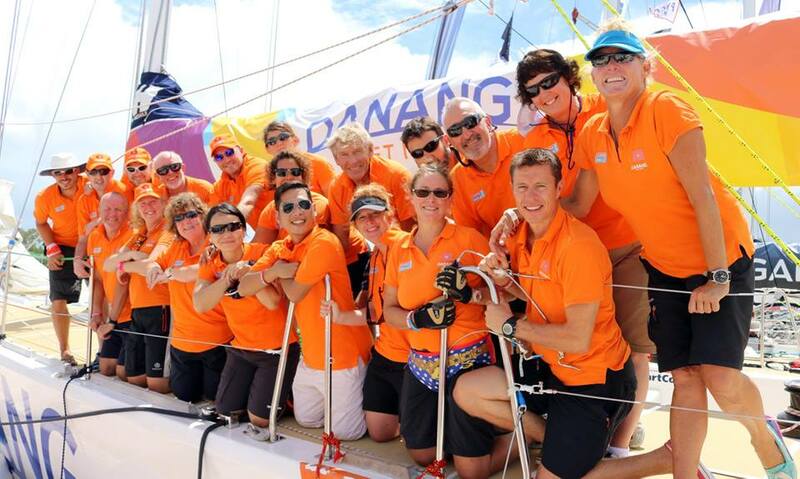 The first, the Da Nang New Discovery of Asia Race, starts from Airlie Beach on Monday 18 January. The fleet is due to arrive in Da Nang between 17 – 21 February and will remain there until the start of Race 8 to Qingdao, China on 27 February. 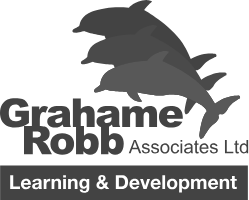 To find out more about The Da Nang New Discovery of Asia Race, click here. If you think you have what it takes to join the Clipper Race crew in the 2017-18 or 2019-20 race editions, then click here for more information.